It is now 11 years since I started my adventure, 11 years since I moved from being a “waiter” to being a “restaurateur”. I still think of those sleepless nights looking at the ceiling for the fear of not making it, but then I just trusted what has always characterized me: my instinct. Instinct is the basis of the choices that have determined my life. Whenever I made use of reason, I didn’t get the same results. Instinct is that emotion that pervades me, that thrill, that spark that makes me understand what the road is or the choice I have to make at that moment. And I’m not saying that it always turns out to be right, but it is certainly what I think is right at the moment. There have been many occasions like this in my life and above all, how I met the owner of Ancilla, the restaurant that later became Filippo and, most recently, Brigata. I arrived near the restaurant, full of doubt, wondering if buying the restaurant was right the right choice. It was in the afternoon, the place was closed and the owner was waiting for me. As soon as the lady opened the door for me, there was an exchanged look so full of energy that I immediately told her: “Giovanna, I promise you that I will treat this place like a jewel because I feel that even though we don’t know each other, there is something here that connects us: although having nothing in common from a culinary point of view, the love and passion for this work will be the link between the old management and that of FIlippo.” I gave her the example of how it was enough for me to make a well-made pasta with oil, to make a homemade meal like your grandmother used to make, with good oil and quality Parmesan, just to explain what my idea was for the restaurant. The vision of what I wanted to convey was clear from that day, from the day that I saw for the first time what would become my first venue. My entire life has been tied to work, we are intertwined: I am my job, my job is Filippo and Filippo is my private life. Sometimes you try to keep them separate, however, I will always continue to put all of myself into my work. In a way, work is an exact reflection of my character. My restaurant, from the beginning, had been formed by six plates that were rotating each day and not because I had taken a brilliant idea from somewhere around the world, but simply because a colleague of mine (then my employer), Michele Marcucci, made me reflect on the fact that I had a very restless character and tended to tire quickly. Filippo’s instinct, before becoming a restaurateur, is to feel good about himself. Only then can I get along with my work and with others and this is why I decided not to continue the MUD cuisine. FIlippo throws himself into everything he does. For me it means being clear and being frank. We can think of it as something I inherited as a teenager. As a boy, I somehow hid my true character from others. The hurt I received, especially in those years, made me understand that you have to be yourself and always put yourself forward without being afraid of your own convictions and ideas. It is only this that gives you the strength and energy to be able to dream and to believe in something. 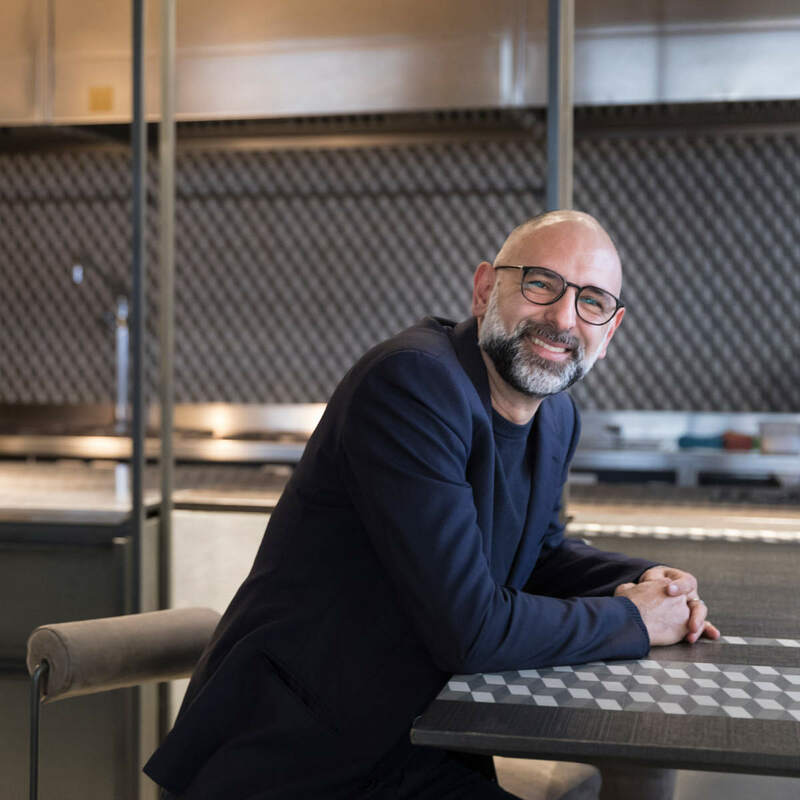 For Filippo, man and restaurant, it is essential to be the face and person next to his clients because he is the one who conceived the idea and, in the end, only those who conceive an idea can have the strength to pass it on to others. This is a reflection in light of my two years of experience with MUD where I had intentionally put myself aside to put forward my employees, but I realized, in the end, that only those who created the idea can be the promoter. 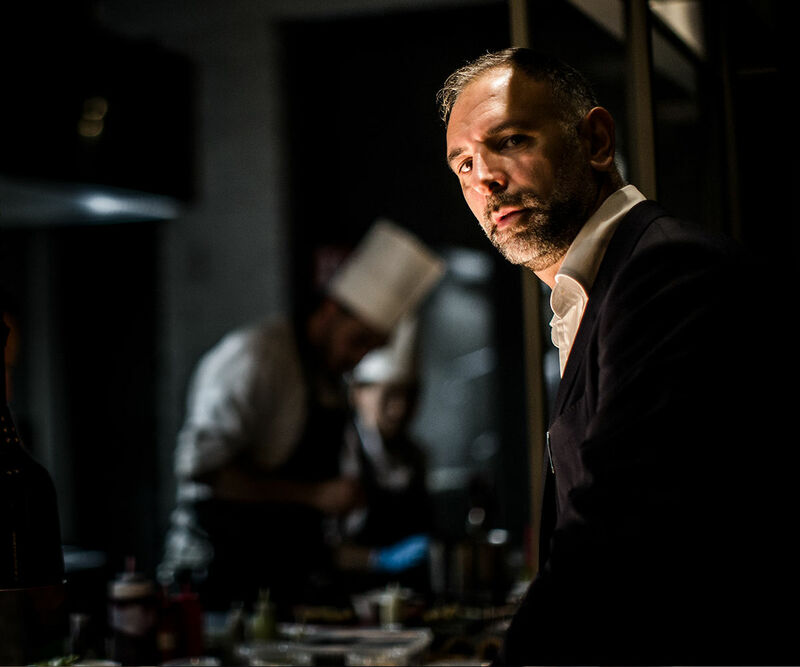 For Filippo, man and restaurant, it is essential to be the face and person next to his clients because he is the one who conceived the idea and, in the end, only those who conceive an idea can have the strength to pass it on to others.